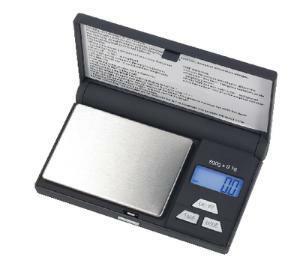 YA series pocket scales offer portable precision weighing in a compact case. Put convenient, compact, and portable weighing capability right in the palm of your hand. These pocket sized scales deliver great performance in a stylish, yet functional design. With simple operation, the units include a stainless steel weighing pan and unique hinged cover to protect the scale. The rugged plastic scales weigh in g, oz, ct, gn, and dwt. Accessories information: Requires two AAA batteries, included. Ordering information: One-year manufacturers warranty included with purchase.